Whenever a new year comes around I'm both excited, but anxious to always do things on my New Years goal list. To be completely honest, January was a month full of stress, anxiety, and LOTS of never ending school work. Nevertheless, it was one one of my most successful months because I was able to accomplish so many great blog goals. Down below I'm sharing with you my January 2019 accomplishments. Like I've mentioned previously in my earlier accomplishments post, I find that it is so important to welcome in a good month by appreciating all the BIG and LITTLE things you've accomplished from your previous month. By doing this, you are welcoming good fortune and vibes for your new month. With all that being said, cheers to a new month, and bye bye January!! Please enjoy this post!! ♥︎♥︎ XOXO!! Valentine's Day is just around the corner and just so happens to be my most favorite holiday. I absolutely love an excuse to decorate my home pink AND celebrate those I love even extra!! 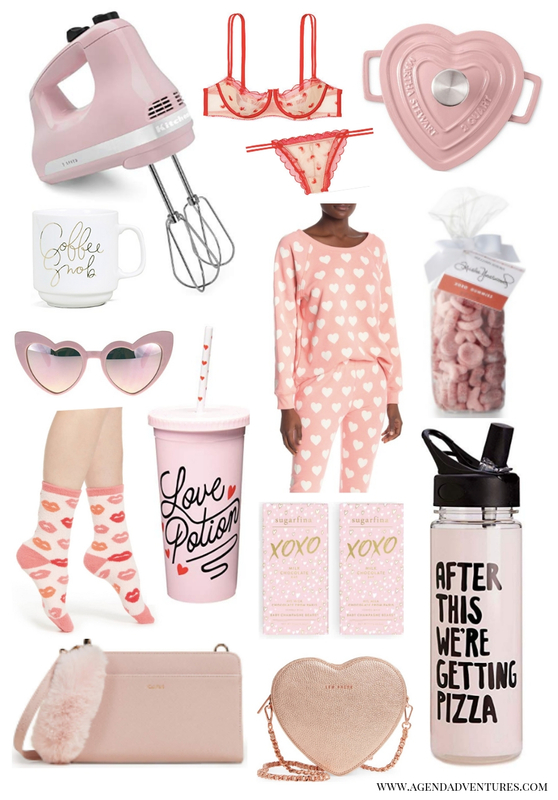 Today on the blog, I am sharing with you my Valentine's Day gift guide. I have been waiting all year to post this blog post. In fact, ever since January began, I have been on the hunt for all things pink/ valentines hehe. I truly hope you enjoy this post as much as I enjoyed finding these items. 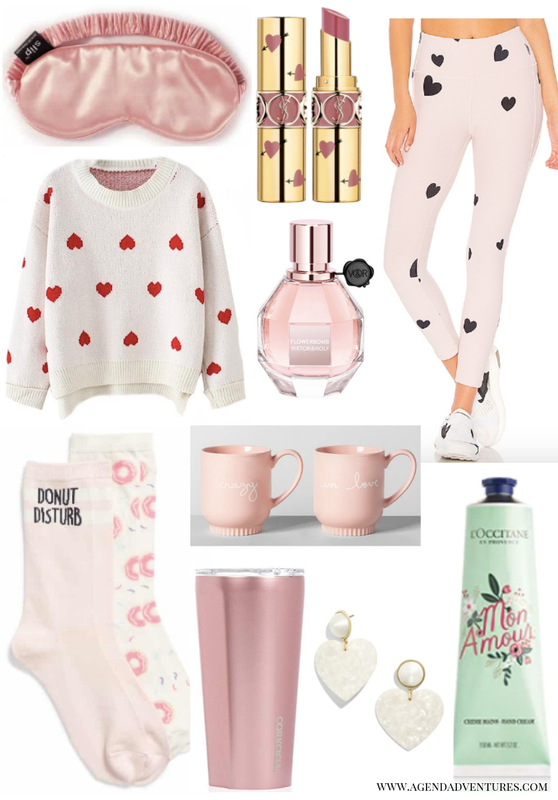 (FYI: All these items are mostly under $100 - $150 AND perfect to gift to a special someone or galentine!) (SHOP each post by scrolling below each picture!) Enjoy friends! XOXO! Obsessed with this mug! Shop this post HERE!! Comment below what you're doing for valentines day this year because I would love to know!! 1. It Cosmetics CC Cream (Shade Fair) | the #1 product that i would have to say that i used and loved most in 2018 is the It Cosmetics CC Cream. this foundation is NOTHING like you've ever tried before. with SPF 50+, full coverage, AND a color correcting cream, how can i not like this?! this foundation is seriously the BEST and it's UNDER $40 which is a steal if you ask me. in 2018 i started working at William Sonoma as a seasonal employee and customers would always ask what i am wearing on my face and i'd recommend this foundation. i will most definitely be bringing this with me in 2019!! 2. L'oreal Lash Paradise Mascara | mascara for me is always the hardest to shop for because i never truly know if it's going to work with me. this year my sister Lauren recommended to me the L'oreal Lash Paradise mascara and I've NEVER looked back. this mascara is revolutionary as it lengths, volumizes, and separates your lashes PERFECTLY. i only need to apply 2 coats and BOOM, my lashes look amazing. this product has been a total game changer in my makeup routine for sure. 3. Anastasia Beverly Hills Brow Wiz Pencil | one product that i discovered on my trip to D.C. in June (2018) was this Anastasia Brow Wiz. this brow pencil is heaven on earth. i use this in my makeup routine just about every single time, and it makes my brows stand out. 4. Mario Badescu Rose Water Spray | another staple in 2018 has been this mario badescu spray. i personally like to use this as a setting spray and primer. i also found myself misting this spray onto my beauty blenders so they're more damp for foundation application. 6. Cover FX Cream Concealer | i'm that type of person who has literally THE WORST dark circles. i have tired to find so many concealers to cover up my dark circles and the only product that works is this Cover FX Cream concealer. It's very blendable and I love to apply this with my Makeup Revolution concealer. 7. Makeup Revolution Concealer | speaking of concealers, one of my favs that had brightness underneath my eyes would have to be the Makeup Revolution concealer. like i mentioned above about the Cover FX, i love to mix the two together because it covers my dark circles/ blemishes and brightens as well. 8. Nordy Girl Mac Palette | sadly this is no longer available because i bought it at the Nordstrom Anniversary sale, BUT this Nordy Girl Mac Palette is seriously the best. i found myself reaching for this a lot in 2018 because there are so many different eye looks you can do. i hope that you guys enjoyed this blog post and i wish you all the best in this new year! !